Pakistan will hold general elections on July 25, a presidential spokesman said Saturday, offering the prospect of what would be only the second ever democratic transfer of power in the nuclear-armed country. "The president has approved July 25 as the date for holding general elections in the country," a spokesman from Mamnoon Hussain's office told AFP. The announcement comes as the current government enters its final week in office. It is expected to hand over power to a caretaker administration in the coming days. Turmoil continues to rock the country after former prime minister Nawaz Sharif was ousted by the Supreme Court last July on corruption charges and later barred from politics for life. Sharif was the 15th prime minister in Pakistan's seven-decade history -- roughly half of it under military rule -- to be removed before completing a full term. After Sharif was ousted from power, Shahid Khaqan Abbasi of Sharif's Pakistan Muslim League-Nawaz party (PML-N) took over the premiership. Pakistan completed its first ever democratic transfer of power following elections in 2013, when the government headed by the Pakistan People's Party handed over to the PML-N, following a landslide victory. "This is the second consecutive parliament to complete its tenure and we are now looking forward to go to the people to get their verdict on our performance," Finance Minister Miftah Ismail told AFP. 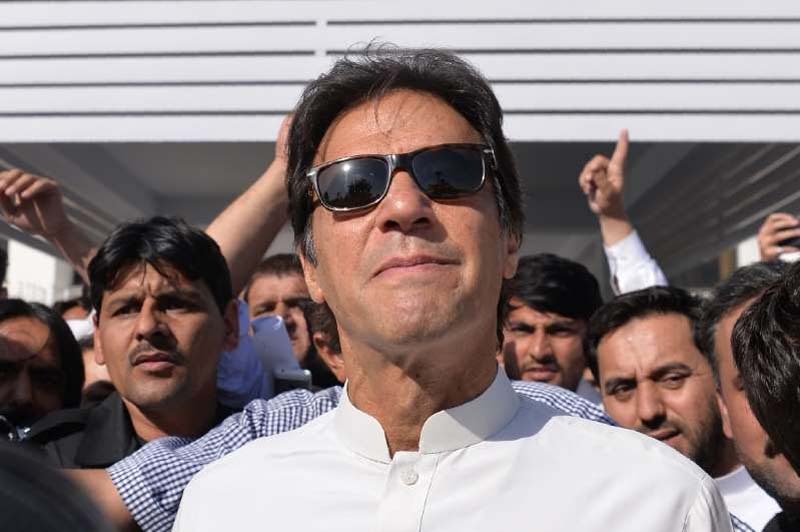 The general elections are expected to pit the PML-N against its main rival, the Pakistan Tehreek-e-Insaf party led by former cricket star Imran Khan. PTI is vowing to clean up the country’s rampant corruption, while investing in education and healthcare as Khan inches closer to his years-long dream of leading the country as prime minister. With Sharif out, the PML-N continue to boast of their investment in the country’s rickety infrastructure and courting billions of dollars in Chinese investment. Since he was ousted, Sharif and the PML-N have become increasingly vocal in their confrontation with the country’s military establishment and courts, claiming they are victims of a conspiracy to reduce the power of their party. Despite the numerous court rulings against the PML-N, the party has won a string of recent by-elections proving it will likely remain a powerful force. The PML-N continues to enjoy large swathes of support in the country's most populous Punjab province, but will enter the election under increasing pressure. In April, a Pakistan court disqualified Foreign Minister Khawaja Asif for violating the country's election laws, while interior minister Ahsan Iqbal was shot in the arm in a suspected assassination attempt in early May by an Islamist gunman. Sharif also sparked a firestorm earlier this month after suggesting Pakistani militants were behind the 2008 Mumbai attacks, approaching what is seen as a red line in the country by touching on criticism of Pakistan's armed forces. There have been increasing fears that media outlets are under heavy pressure from the security establishment heading into the elections, spurring accusations of self censorship by Pakistan's leading television news broadcasters.